Hi! I am a nobody but what i can surely tell you is that i love playing supports (MMORPG and MOBAs). Characters that are annoying AF. I don’t get excited from kill counts, i get excited when i can annoy and disable my enemies and leave them helpless. I create this item first so i can harass and chase down enemy heroes. I want to annoy them early. The mana regen and +movement speed helps a lot too since i want to be mobile so i can disengage and escape quickly if i need to. As i’ve said above. I want to be reeeeaally quick on my feet since i am really squishy. In clashes, i just want to go in, throw a morph + SS combo, back away and throw boomerang. Rinse and repeat. So being fast is very important. By the third item, i’m aiming now for the 40% CDR cap. The additional magic power and mana regen is very helpful too though the unique passive is just a bonus for me since i don’t have high kill counts. If you don’t want to use Fleeting time, you can create Enchanted Talisman. Most people might prefer that one because its stats is more suited for supports. I just prefer a higher Magic power especially against marksman. 1 cast of Morph on this classes can deal a decent amount of damage. Also, i’m setting up my magic power for the 5th item. Once again, im capping my CDR by this time. Also the +armor and crit reduction is a huge boost to my defense. I also love this item’s unique passive. More debuff = more fun for me. Once you got this. 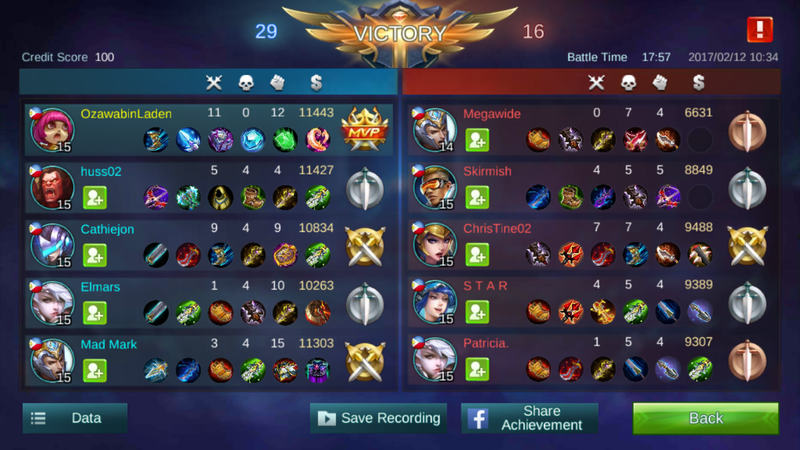 Your skills will definitely hurt enemy heroes especially marksmen. Although by this time the game is done but sometimes the game will last up to 30mins. My preferred 6th item is either Immortal or Heart of Steel depending on my enemies. Although this is my personal preference, i max out Morph early. I put 1 pt in my boomerang at the start of the game then focus on Morph. I want to reduce its cooldown ASAP. Conserve your Morph skill early in the game. It has like 8-10 seconds CD early in the game right? Better prepare it for unexpected ganks, chasing or helping someone. Always be present on clashes. Let the marksmen do the pushing. Your CC skills are very important that it is REALLY a big game changer. Disabling someone every 5 seconds is a HUGE BOOST for the team. Don’t overextend! This is a general rule for all. You’re very squishy so just stay back. Rush in when you know there’s a chance to wipe them out. When you’re sure your tower is safe for the next minute, ROAM! Help and support other lanes! Your Morph + Frost effect is a huge boost! You can switch out Fleeting Time with Enchanted Talisman for the +hp and +mp regen every assist/kill (downside is less 20 magic power) and Guardian Relic with Blood Wings for the +magic power and +hp (more tanky). I was building Demon’s Advent as my last item. 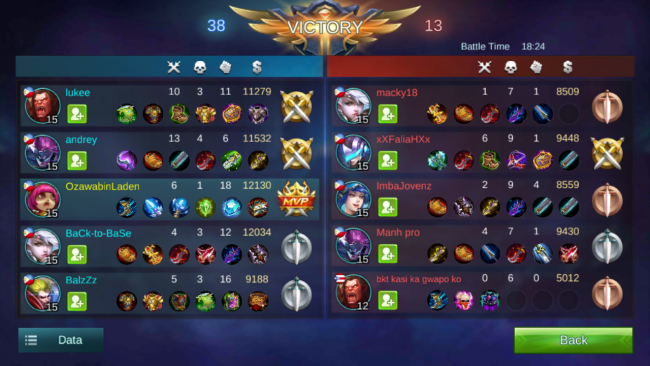 I really love when there’s a Zhao in the opposing team. As you can see, he got 0 kills because whenever he starts to initiate, i just Morph + SS him (his teammates will follow him) then vanish. Same with Freya, that’s why they have the highest deaths because they are the initiators.